TypeWonder is making the choice of web fonts so enjoyable. 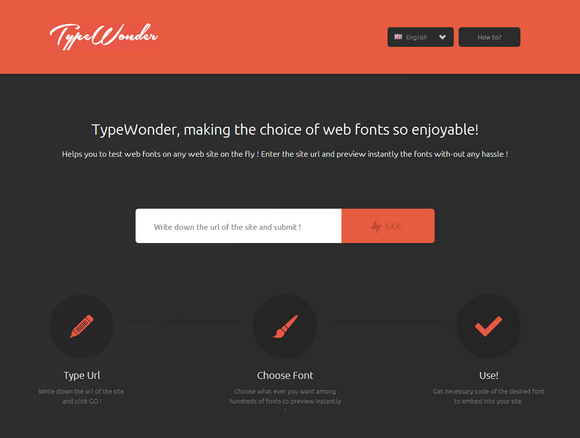 It helps you to test web fonts on any web site on the fly! Enter the site url and preview instantly the fonts with-out any hassle. Simple write down the url of the site, and then choose what ever you want among hundreds of fonts to preview instantly. You can also get necessary code of the desired font to embed into your site as well. “How to?” … Epic funny cats!